Physiology of Insulin Resistance | ECIR Group, Inc. In horses, there's little doubt that high-carbohydrate feeding influences the response to insulin, but it's more complicated than in people or other animals. The horse evolved without any sources of concentrated carbohydrate in its diet. When horses are grain fed, their responsiveness to an intravenous injection of insulin drops, i.e., less insulin sensitive, more insulin resistant — yet their ability to keep blood glucose in control is usually well preserved. Insulin Resistance (IR) in ponies was reported almost 40 years ago. IR in horses was recognized less than 15 years ago. 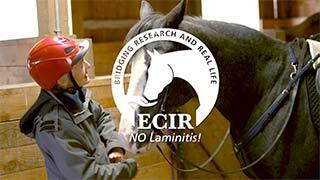 However, a 1989 USDA-sponsored survey found that 13% of the owners and equine premises surveyed reported having laminitis problems in the prior 12 months. Laminitis was second only to colic as a reason for seeking veterinary care. 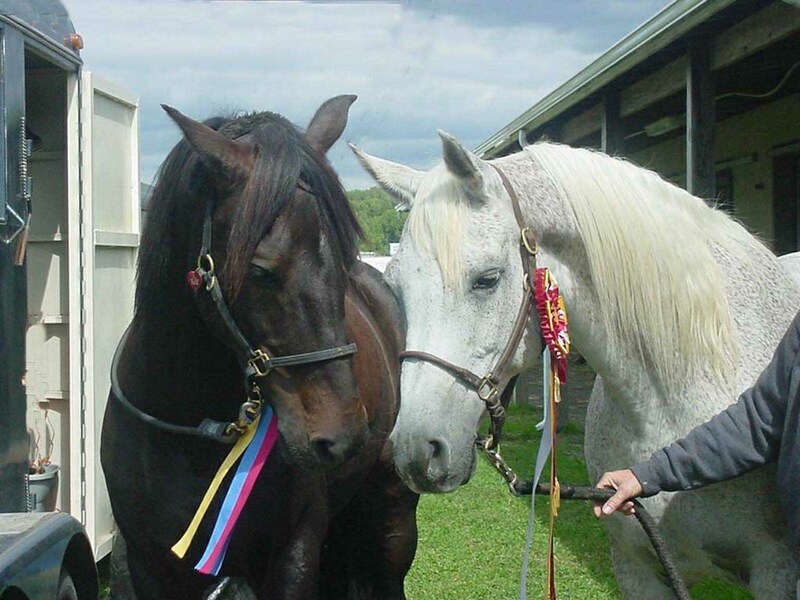 Prior to IR and Equine Metabolic Syndrome coming into the limelight as the "disease du jour", it was very common for breeders involved with susceptible breeds to vehemently deny they had any laminitis problems or that there was a genetic link — but insiders knew otherwise. With insulin resistance, circulating levels of insulin are elevated but glucose stays normal. The cells are resistant to insulin's signal to take up glucose, but higher levels get the job done. 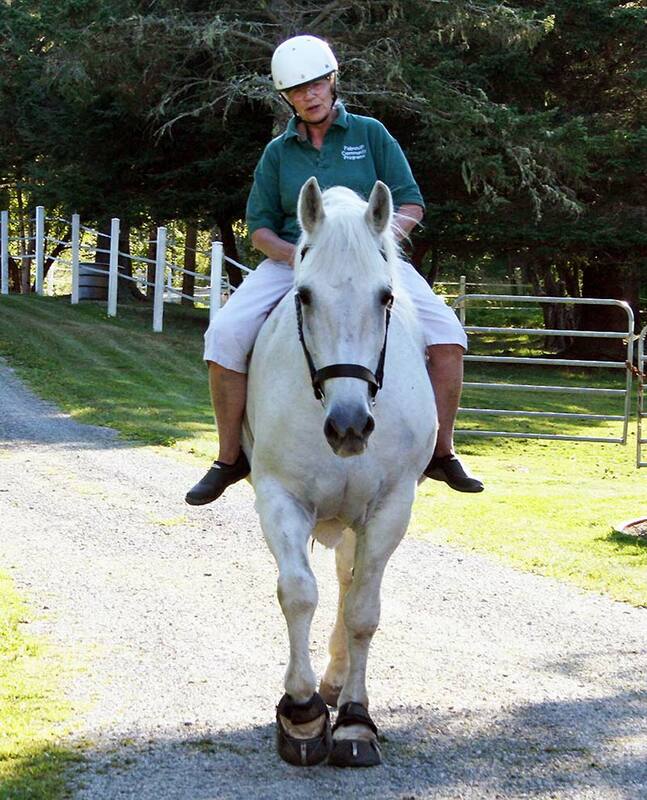 Horses do not progress to be frankly diabetic as easily as other species do. Diabetes mellitus is when blood sugar is higher than normal. Glucose is the most important, and the most precious, fuel in the body. Every cell needs it, even the ones that can depend heavily on fat as an energy source. The capacity to store glucose in the tissues is low. To compensate for this, many pathways exist for converting other nutrients into glucose if need be. Many amino acids can be converted to glucose. The energy crisis that results when insulin does not stimulate normal uptake of glucose by insulin-sensitive cells is at least part of the reason for higher levels of circulating cholesterol and lipids in IR. Fats are released in an effort to provide calories to cells that are getting inadequate energy. At the same time, high levels of insulin tend to shut down the burning of fuels in muscle and fat, channeling them instead into storage forms. Glycogen goes down because glucose entry is impaired, but at the same time the burning of fuels is inhibited so more fat gets stored — a vicious circle. AMP, or activated protein kinase (AMPK), is discussed on the Physiology of PPID page and it is more than worth repeating and expanding this information here since it is a key factor in the metabolic upheaval of Insulin Resistance. ATP is adenosine triphosphate, a major chemical source of energy in all cells. ATP holds phosphate energy bonds that are "transferred" and used for work, including muscular exercise, when the phosphorous is released. When the cell needs energy, a phosphate group is split off the ATP molecule to generate energy, changing ATP into ADP and AMP. At this point, the cell's bank of energy stores is getting to a critical level. When functioning normally, ADP is rapidly converted back to ATP and AMP levels are low. This cycling goes back and forth between ADP and ATP constantly within the cells. If energy demand is high, some ADP will be further broken down to AMP. As AMP levels rise, alarm bells go off and it's AMPK enzyme to the rescue. AMP activated protein kinase: a next generation target for total metabolic control. Misra P., Discovery Research, Dr Reddy's Hyderabad, India. Metabolic syndrome is characterized by a cluster of metabolic disorders, such as reduced glucose tolerance, hyperinsulinemia, hypertension, visceral obesity and lipid disorders. The benefit of exercise in maintaining total metabolic control is well known and recent research indicates that AMP-activated protein kinase (AMPK) may play an important role in exercise-related effects. AMPK is considered as a master switch in regulating glucose and lipid metabolism. AMPK is an enzyme that works as a fuel gauge, being activated in conditions of high phosphate depletion. In the liver, activation of AMPK results in decreased production of plasma glucose, cholesterol, triglyceride and enhanced fatty acid oxidation. AMPK is also robustly activated by skeletal muscle contraction and myocardial ischemia, and is involved in the stimulation of glucose transport and fatty acid oxidation by these stimuli. In adipose tissue, activated AMPK inhibits deposition of fat, but enhances breakdown and burning of stored fat, resulting in reduction of body weight. The two leading diabetic drugs, namely metformin and rosiglitazone, and adipokines, such as adiponectin and leptin, show their metabolic effects partially through AMPK. These data suggest that AMPK may be a key player in the development of new treatments for obesity, Type 2 diabetes and the metabolic syndrome. We know that insulin resistance is associated with leptin resistance and low levels of circulating adiponectin. This could explain lowered activity of AMPK. The ability of thyroid hormone to stimulate AMPK activity may be behind the beneficial effect of thyroid supplementation in horses with IR, especially in horses that are showing low thyroid function. The popular human drug, Metformin, works by stimulating AMPK, although it certainly isn't a cure, and diet and exercise remain the most successful way to treat IR in people as well as horses. Metformin was tried in horses in one small US study. It didn't work. However, a larger field study in the UK found significant improvement in insulin resistance in 18 chronically laminitic horses and ponies studied on the drug for as long as 220 days. The most dramatic improvements were seen in the first two weeks, with insulins beginning to rise again after that time but remaining better than at the start of the study. In terms of their laminitis, owners reported 78% had improved, while 22% were unchanged or worse. No side effects were reported. A concern with Metformin is excessive lowering of blood glucose, since horses do not seem to have overproduction of glucose the way human patients do. However, this study found that although there is a drop in blood glucose after Metformin is given, the degree was mild. Metformin is not the magic bullet for IR. Response decreases over time and in some horses it does not work at all. However, it may be a useful tool for gaining rapid control of IR in horses that are in crisis. Hypertension and insulin resistance in a mixed-breed population of ponies predisposed to laminitis. Bailey SR, Habershon-Butcher JL, Ransom KJ, Elliott J, Menzies-Gow NJ. Department of Veterinary Basic Sciences, Royal Veterinary College, Royal College Street, London, NW1 0TU, England. OBJECTIVE: To determine the metabolic phenotype of a group of laminitis-prone ponies when at pasture in summer, compared with when at pasture in winter. ANIMALS: 40 ponies of various breeds predisposed to recurrent pasture-associated laminitis and 40 unaffected control ponies. PROCEDURES: Body condition score and size of the crest of the neck were assessed, blood samples obtained, and blood pressure measured by use of an indirect oscillometric technique, while ponies were kept on winter pasture (last week of November or beginning of December) and again on summer pasture (June). Serum insulin concentration and plasma glucose, triglyceride, uric acid, and ACTH concentrations were measured. Insulin sensitivity was calculated with proxies derived from basal serum insulin and plasma glucose concentrations. RESULTS: No significant differences were apparent between ponies predisposed to laminitis and control ponies during winter. However, in June, laminitis-prone ponies had increased serum insulin concentration and plasma triglyceride and uric acid concentrations, compared with control ponies. Also, laminitis-prone ponies were relatively insulin resistant, compared with control ponies. Mean blood pressure was significantly higher during summer in laminitis-prone ponies (median [interquartile range], 89.6 mm Hg [78.3 to 96.9 mm Hg]), compared with control ponies (76.8 mm Hg [69.4 to 85.2 mm Hg]). CONCLUSIONS AND CLINICAL RELEVANCE: Summer pastures appear to induce metabolic responses in some ponies, leading to expression of the prelaminitic phenotype, which includes hypertension as well as insulin resistance. Signs of this metabolic syndrome may not be apparent in affected ponies during periods of grazing winter pasture. Understanding this syndrome may enable improved countermeasures to be devised to prevent laminitis. If you have heard of uric acid at all, it was probably in connection with gout, but this isn't gout. Uric acid is a breakdown product of purines. High uric acid in insulin resistance is coming from failure to recycle AMP back to ADP and ATP. When AMP cannot be reloaded with phosphate groups because of insufficient or inefficient use of nutrients to replenish ATP, the AMP is broken down by a process which creates inosine from the adenosine purine in AMP. With all the biochemical changes in insulin resistance pointing a finger directly at the AMPK enzyme, it does indeed make perfect sense to look toward AMPK activation as a therapy. The simplest way to rev up AMPK is also one of the most successful ways to alleviate insulin resistance — EXERCISE. Misra, P. AMP activated protein kinase: a next generation target for total metabolic control. Expert Opin Ther Targets. 2008 Jan;12(1):91-100. Vick, M.M., Sessions, D.R., Murphy, B.A., Kennedy, E.L., Reedy, S.E. and Fitzgerald, B.P. (2006) Obesity is associated with altered metabolic and reproductive activity in the mare: effects of metformin on insulin sensitivity and reproductive cyclicity. Reprod. Fert. Develop.18, 609-617.